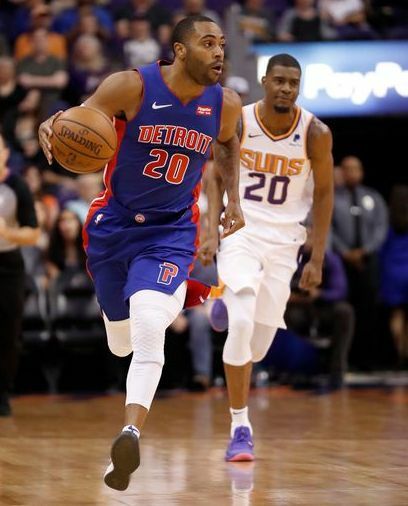 (PHOENIX) – The Detroit Pistons turned up the defensive pressure in the second half and turned away the Phoenix Suns. Wayne Ellington scored 23 points and the Pistons made 17 3-pointers in a 118-98 victory on Thursday night. Detroit held the Suns to 38 second-half points and limited Suns star Devin Booker to six points in the final 24 minutes. The Pistons turned a five-point lead early in the fourth quarter into a 13-point advantage in a span of less than two minutes, featuring two dunks by Andre Drummond, who finished with 16 points and 19 rebounds. Blake Griffin, who was rested for Detroit's loss at Cleveland on Monday, returned and struggled with his shot, going just 4 of 17. But he finished with 17 points, eight rebounds and seven assists. Booker scored 26 points for the Suns, who have lost four of five. Deandre Ayton added 20 points. Detroit outscored Phoenix 31-18 in the fourth quarter. The Pistons have won three of four and are in sixth place in the Eastern Conference after 71 games.